Work continues on the Star Wars: Imperial Assault set. Progress keeps moving forward and I am happy to report that I am done with the squad minis and am now onto the single models! The last two sets of groups to be finished were the Nexu and the Imperial Probe Droids. I've also finished Luke and gotten some solid progress on Darth Vader (though he isn't pictured this update). The Nexu was an interesting challenge. I have a rather hit or miss relationship with animal miniatures. 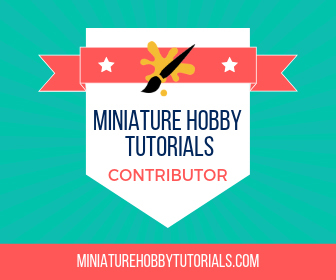 Over the course of my painting career I've had some well done animal minis, as well as some really bad ones. Furred animals usually turn out better than smooth skinned models though and luckily the Nexu is one of the former. I tried to keep the Nexu as close to the official art as possible, including fur color and stripes. I started by base coating it and adding stripes. Then that was followed by a wash of Griphonne Sepia and multiple drybrushings of the base color added with white for highlights. Then I went over a few of the stripes to darken some of them. 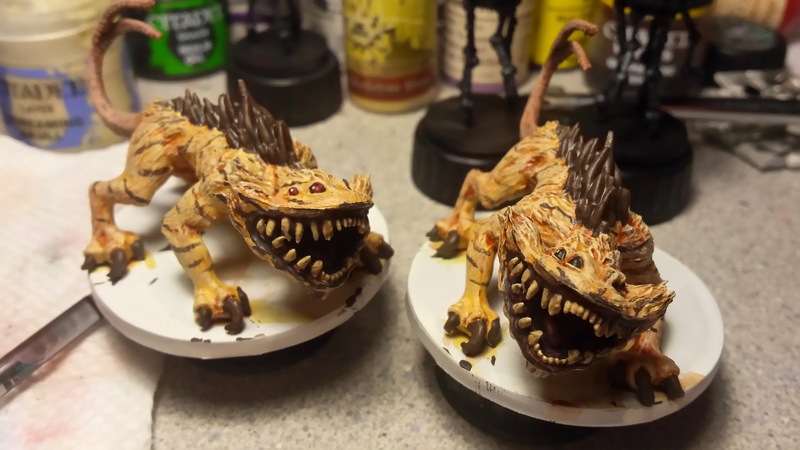 The spines and claws were painted with a mix of black and dark brown and then hightlighted up to a lighter brown and the teeth were painted with bone and washed with brown. I wasn't sure about the eyes, mainly because Attack of the Clones shows it having red eyes and other sources show black. So I gave one red eyes and another black eyes. 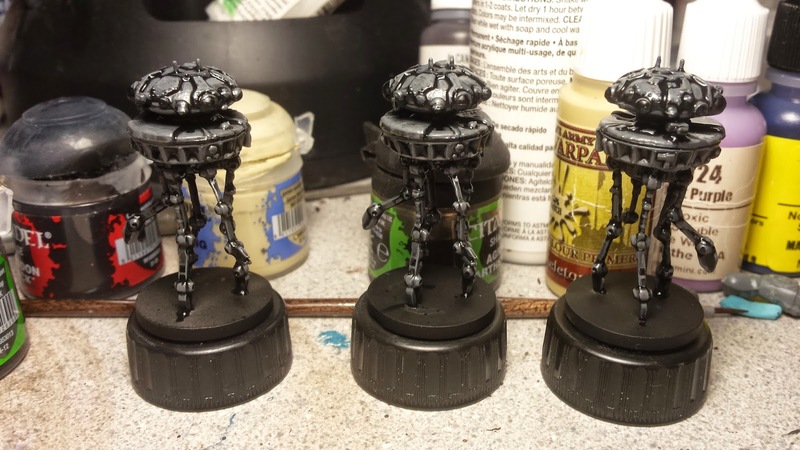 The Probe Droids were the first of the set to be primed in black. Then they went through a couple shades of grey for armor plating. After all the highlights were done, I washed them with Nuin Oil for the recesses. The lenses were all painted black and then followed with a single grey highlight and a white dot for reflection. Then I added in a bit of orange and yellow for it's headlight/searchlight. With the Droids done, it was time to celebrate a little. All of the squad painting was finished! 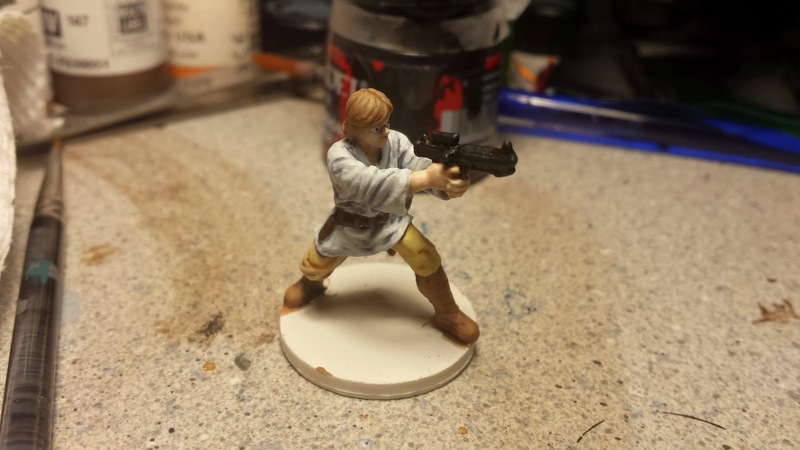 I then returned to work with Luke Skywalker, who I had already started the skintone on earlier. I tried to follow the A New Hope artwork as close as possible, giving him a white tunic, biege pants and light brown boots. He turned out well though and I'm happy with him. Darth Vader is on the table now and should be finished tonight. I just need to do the highlights on his armor and the lightsaber. I might attempt a tiny bit of OSL on his cloak, but I'm not sure yet. After that I'm moving on to the AT-ST walker. But I might need to run and get more grey paint tonight. Star Wars: Imperial Assault 100% Painted!